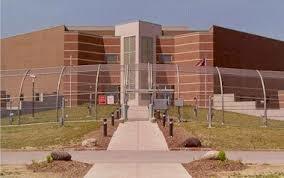 The following link is for prisons for Ohio inmates in the Ohio Department of Corrections. Ohio Correctional Institutions Click on the institution name and you can read basic insitutional information such as the name of the warden, email and snail mail address, visiting rules, basic inmate programs and unique programs that are delivered in that institution. You will find the the visiting policy and two important forms: the visitor application packet and an authorization form for a minor child visit. Links to visiting hours and how to do video visiting are included. Check out this brochure if your family member has recently been incarcerated in a correctional facility. It will give information about reception, security classification numbers and how to visit at reception. See the Family Brochure for Reception Inmates. Typically, your first day of prison includes getting searched, receive a number, receive hygiene and clothing and get a regulation haircut. On the second day, you get a physical, get your blood drawn and also get a chest X-ray. The next day you will be involved in educational testing, chaplain orientation with some further additional testing. What can I send to an Ohio inmate? A great thing about the Ohio correctional system is that it outlines very clearly what can be sent to an inmate. All packages must be ordered through Access SecurePak. You can navigate around their website to explore what items you can order. General rules concerning mail and packages being to inmates can be found on the Mail and Package Page. You can see what can and cannot be sent to an inmate. It will also tell you about the JPay system where you can send and receive email from your loved on while incarcerated. Be sure to read the link to the mail and visiting restrictions guidelines for helpful information. You might read this link for more specific information regarding packages being sent from Access SecurePak.